My Friend’s… Race for Life! 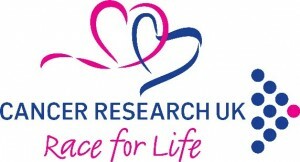 My Friend Hazel is Racing for Life in aid of Cancer Research UK, a charity I have been financially supporting since 2004. Hazel’s mum lived 16-weeks from diagnosis until her death with cancer, and it was also 16-weeks from diagnosis until her death of My Mum Annie Maxwell who died from ovarian cancer. As a child I didn’t know much about this decease, but as I have grown into an adult it is all around me – family and friends. Sadly cancer will affect all of us at some point, but I hope through research that a breakthrough will be found to beat it. If you can, please support my friend’s Race for Life – you don’t have to know her personally, to support cancer! To my friend Hazel, your mum will be very proud of you and looking down on your Race for Life!